One of the most popular ways to ask for feedback is sending a short survey to customers. There are a number of ways to implement this strategy. Businesses that have a significant number of customers in their database could create a survey on SurveyMonkey and send it via email. Another option would be to post a link to the survey on social media so your followers could provide feedback. If you want to hear from anyone who is visiting your website, use a small survey pop-up window to ask for their feedback. Regardless of how you distribute the survey, there are a few important tips to keep in mind when writing the questions. First and foremost, keep the survey short and simple. The questions should be straightforward and well written so it is clear what you are asking. It’s best to limit the survey to five to ten questions and ask the most important questions first. Customers are usually the most motivated to complete a survey in the beginning, so they will put more thought into how they answer the first few questions. Never include an unnecessary or irrelevant question. If you aren’t interested in the answer to a question, this means it shouldn’t be in the survey. If possible, offer a reward to customers who complete the survey within a specific timeframe. A small discount, free e-book, or free shipping on their next purchase should be enough to motivate them to take a few moments to provide their feedback. Sometimes, customers want to make a small suggestion on how to improve your business, but they don’t know how. These customers don’t want to spend a lot of time filling out a survey simply so they can share a small suggestion. They probably won’t make the effort to look for an email address or phone number so they can tell you directly either, so they usually keep their suggestions to themselves. To encourage people like this to provide feedback, place a feedback box on your website. A feedback box is a simple form that is placed on the bottom of a website. It asks one question: “How can we make this website better?” Customers can then leave a suggestion in a text box and click submit to send it to you. The entire process takes a few minutes, and the customer does not need to answer survey questions or provide their contact information in order to submit a suggestion. Because submitting feedback in this manner is so easy, more customers will do it. If customers aren’t providing feedback, there’s a way for businesses to find out what they think without ever contacting them. How? By analyzing user activity on your website. Looking at your website analytics will tell you how customers end up on your website, how long they stay, and what pages they visit. This information can be used to determine potential problems that are affecting your ability to convert leads or retain customers. For example, let’s say your analytics show that one page on your website has a much higher bounce rate than the others. Visit this page and put yourself in your customers’ shoes. Does a loud song start automatically playing when someone lands on the page? Are the graphics not loading correctly? Does the page take too long to load? Identify the potential issue and then correct it. This is one example of how website analytics can provide customer feedback that can be used to improve your business. Add a live chat option to your website so you can capture feedback from people who are browsing your website. It’s much easier for customers to provide feedback in a live chat that pops up on their screen than it is for them to find your contact information and send an e-mail. Having a live chat option on your website also makes it possible for you to hear feedback from people who are running into problems on your website, confused about your products or services, or unable to find something. The customers are interacting with your business at the same time they are providing feedback, so the feedback they send will probably be more detailed. There’s another benefit to adding a live chat feature to your website. If customers are not providing negative feedback, you will have the opportunity to respond right away. By apologizing for the unsatisfactory experience and offering a solution to the customer’s problem, it’s possible you could prevent this customer from giving up on your business. 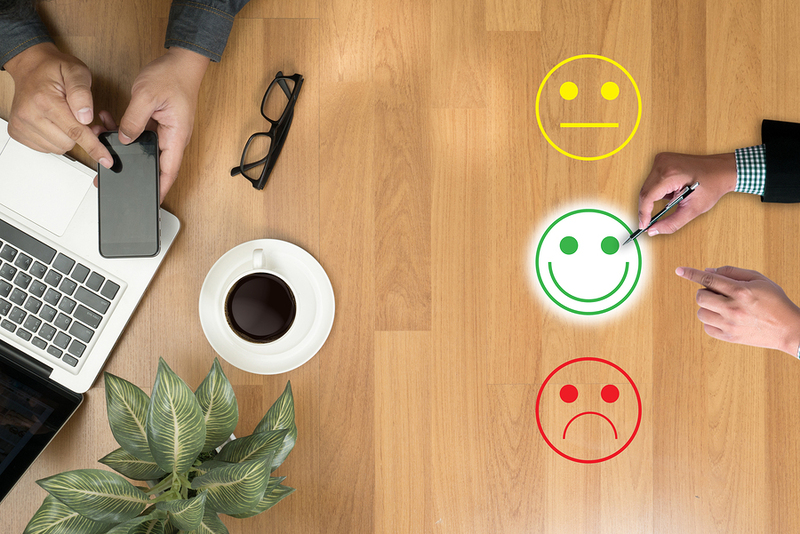 If you use other methods to collect feedback, it could take days or even weeks to get back to a customer that views your business negatively. By that time, these customers will probably already be giving their business to a competitor. Are you interested in obtaining more feedback from customers? If so, contact us today to schedule a free consultation. Let us plan and implement strategies designed to encourage customers to submit feedback about your business.